Hyde Park and Kensington Gardens, St James’s Park, The Green Park, Regent’s Park and Primrose Hill, Greenwich Park, Richmond Park and Bushy Park – Londoners and tourists alike enjoy them as places to relax and reconnect with nature. The animals that inhabit these open spaces, from the more common squirrels, crows, pigeons and geese to the more unusual deer and parakeets, are watched and photographed with joy and fascination. Hardly anyone, however, gives much thought to the killing that goes on behind the scenes. The very animals whom the visitors come to see are culled in astonishingly high numbers. A cynical twist to the story is that, at least in Richmond Park, supplementary feeding is offered to deer, who are then culled and have their meat sold. The feeding swells up the numbers of crows and squirrels, who are then also culled as a side-effect of the meat production process. These are the figures revealed by the Royal Parks in response to a Freedom of Information Request made by the animal protection organization Animal Aid (www.animalaid.org.uk) and published by the Mail Online on the 23 of October 2017 (http://www.dailymail.co.uk/news/article-4958116/Royal-Parks-cull-10-000-animals-including-rabbits.html). Evidence-based ecology is beginning to move away from the idea that nature needs to be “managed” by homo sapiens. Animal numbers respond to food availability, so, even in the absence of predators, those numbers are not going to simply spiral out of control. An open and informed debate is needed, ranging from the possible justification for controlling the numbers of animals to the actual methods employed. Explore the issues and make your opinion heard! 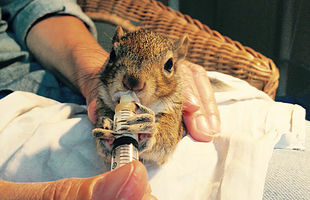 Sign and share the petition against the culls on Care2.